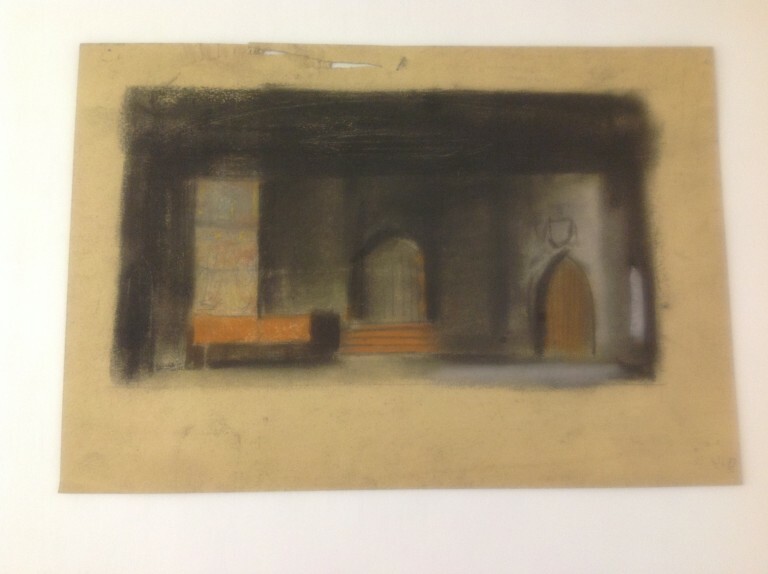 This design by Morris Kestelman (1905-1998) was for an interior scene in the Old Vic Theatre Company's production of Richard III at the New Theatre, London, in September 1944. Directed by John Burrell with costumes designed by Doris Zinkeisen, this wartime production has a legendary ring to it today, starring great British actors - Laurence Olivier as Richard, Ralph Richardson as Richmond and Sybil Thorndike as Margaret. Critics of the day praised the production, and one described the 'sombre pictures' created by the settings as 'grimly effective'. 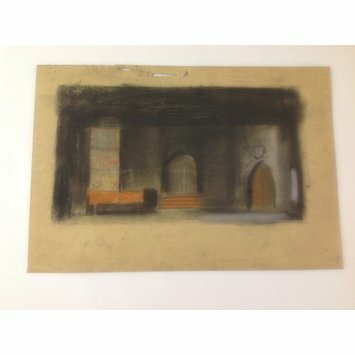 Pastel drawing for an interior scene for Richard III by William Shakespeare, Old Vic Theatre production, New Theatre, 1944. Designed by Morris Kestelman (1905 - 1998). The drawing shows a grey room with orange furnishings.